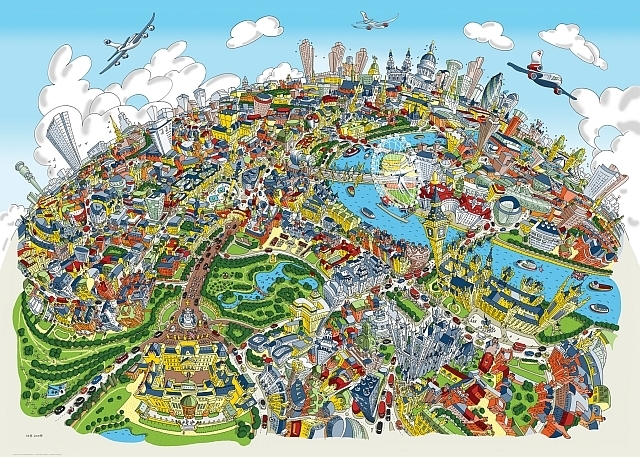 We really like artist Hartwig Braun's distorted-perspective, slightly cartoony take on London. If you like it too, or think someone else will, you can get his drawings on all sorts of items: mugs, tea towels, notebooks, coasters, tote bags, prints and more. You might want to particularly bear Arty Globe in mind when buying a gift for that South East Londoner in your life, because — presumably inspired by their shop's location in Greenwich Market — there's a whole range of Greenwich merchandise. The spire of St Alfege's pokes out from one side, the Observatory from the other while the O2 sticks its prongs in the air at the back. And we think we can even spot the Greenwich Picturehouse. Visit Arty Globe at 15 Greenwich Market, SE10, or shop online.